Habitat : Through out india. Uses : The bark is astringent, sweet, acrid, cooling, , cardiotonic, urinary astringent, expectorant, alexiteric and is useful in fractures, ulcers, cirrhosis of the lever, hyperhidsis, otalgia and hypertension. 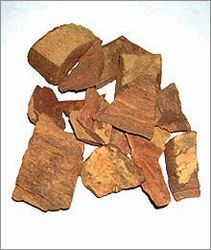 A decoction of the bark is used as wash in ulcers. It improves cardiac muscle function and pumping action of the heart.